Nine newly minted graduates of ABA's Bank Teller Certificate program at Oasis, joined by Boiling Springs Savings Bank's Debra Cannariato (left, front row) and Theresa O'Keefe (left, back row). 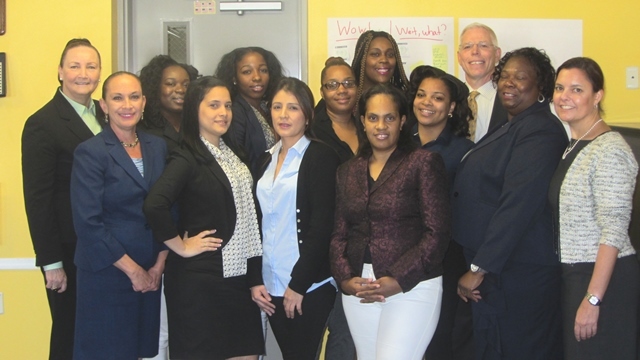 Thanks to the commitment of two community bankers in northern New Jersey, nine women from homeless, impoverished or vulnerable backgrounds will graduate today with ABA Bank Teller Certificates—banking on their newfound skills for a better future. It started with an “empowerment ceremony” several months ago at Oasis, a Paterson, N.J.-based nonprofit serving vulnerable women and children. Debra Cannariato and Theresa O’Keefe, both VPs at Boiling Springs Savings Bank in nearby Rutherford, N.J., attended. The two bankers heard compelling stories from the young women, who had survived homelessness and found in Oasis an opportunity to break the cycle of poverty in their own lives. Many were going on to jobs in food service. Nine newly minted graduates of ABA’s Bank Teller Certificate program at Oasis, joined by Boiling Springs Savings Bank’s Debra Cannariato (left, front row) and Theresa O’Keefe (left, back row). “I looked at Theresa and said, ‘With all the banks in Paterson, there’s always a need for tellers,’” Cannariato recalls. Together, they brainstormed how Boiling Springs could bring the necessary training to Oasis’ clients. 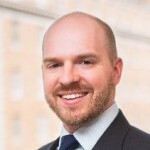 To start, Cannariato and O’Keefe worked with Elisa Legg, SVP for professional development at the New York Bankers Association, which is the local ABA training provider for the north Jersey area. Boiling Springs Savings Bank agreed to sponsor training for ABA’s Bank Teller Certificate, a course sequence that includes banking basics, dealing with coworkers, making effective referrals, workplace conduct, ethics, relationship selling, customer service and other teller fundamentals. The course started in September. The computerized curriculum delivered through ABA’s Learning Management System was complemented by guest lectures from local bankers and visits to bank branches to learn more about being a teller. “We are thrilled to continue to support the programs of Oasis, and can’t wait to see women follow in the same footsteps that led to our successful banking careers,” says O’Keefe, who is a branch coordinator for Boiling Springs Savings Bank. And as for Boiling Springs Savings Bank? “We’d love to hire the first teller with a certificate,” she says.